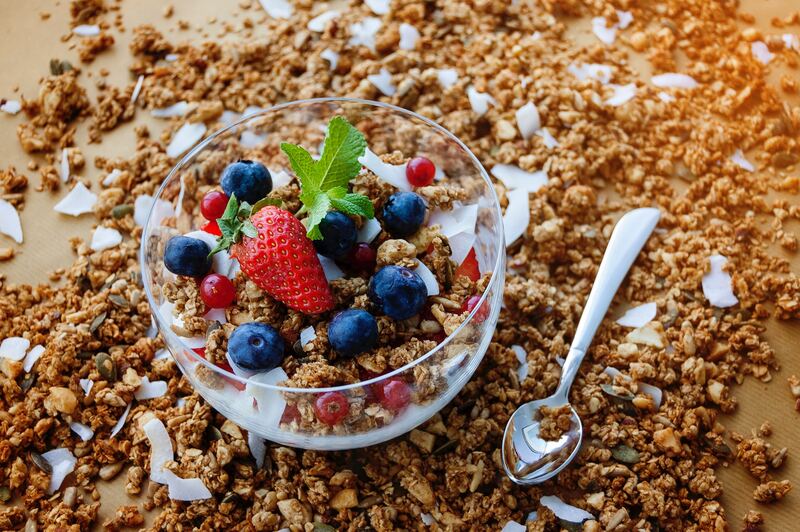 Looking for the world’s most delicious homemade granola recipe? Now you’ve found it. And it’s so easy to make! Seriously. It is so damn good that every time I make it I can’t stop eating it by the spoonful straight out of the jar. Sometimes my spoon will make it to a bowl. When it does, I like to add fresh berries and non-dairy yoghurt. Yum! Do you have kids? Recruit them as your little recipe helpers! The process is basically dumping a whole bunch of delicious foods into a bowl and then squishing it around with your hands—what’s not to love about that? 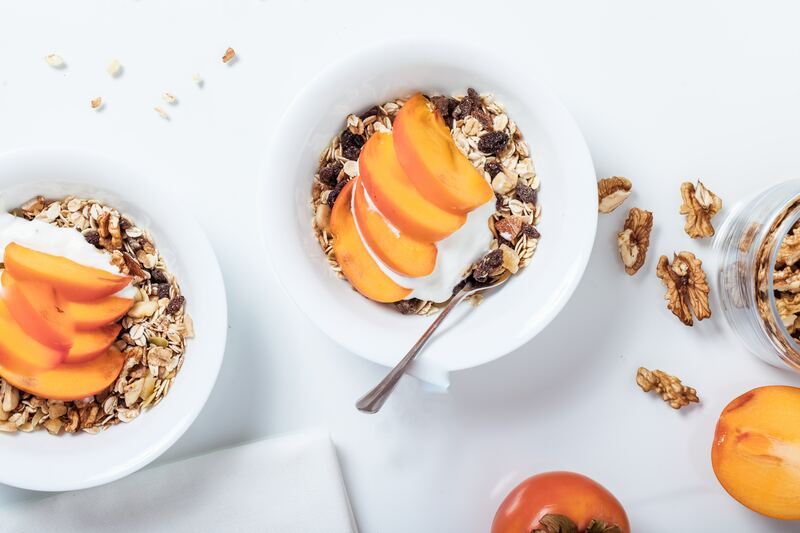 The ingredients in this superfood recipe make this granola high in proteins and healthy fats, making your body strong like a superhero. Note that all of my recipes are intuition based; in the Yoga Girl kitchen, I rarely use measuring cups and just go by feel. I’ve listed estimates for each ingredient, but I encourage you to use as much as you feel your heart and body will like! Preheat the oven to 300℉ / 150℃. Chop up the apricots and figs into smaller pieces. Put everything in a pan except the coconut oil and maple syrup. I like to use more oats than anything else so that the oats are the granola’s base. Add the coconut oil, being careful to not overdo it and make your granola too gooey. Add the maple syrup, gauging the amount based on how sweet you want your granola to be. Dig your hands in and mix it all together! Spread the granola mix onto a parchment-lined baking sheet. Put it in the oven until it’s golden and your kitchen smells yummy. After it cools, spoon some into a bowl to enjoy with a non-dairy milk or yoghurt and some fresh fruit. Scoop the rest into a vacuum-sealed glass jar or another kind of airtight container. It should last for at least a week, maybe two (I honestly have no idea because mine always runs out after just a few days!). Let me know how your new favorite granola turns out it in the comments below. And if you don’t devour yours in a few days like I do, let us all know how long it can stay fresh! For more healthy recipes, check out Nourish on oneOeight.com!